Vandalism is abuse of articles on Wikisimpsons. Replacing text with random words etc. If a user is deliberately trying to damage an article or page, they will get an instant block usually of about 2 weeks. This will be extended if the user comes back and attacks again. If something may be vandalism but may have been accidental, or thought of as being accidental by an admin, you will just receive a warning which you can protest to prove your innocence. Spam: Trying to advertise your website or a website that is in no way related to the article. Blanking: The blanking of a page. Replacement: Replacing a page or section with random nonsense. Nonsense: Random strings of letters, numbers, and symbols. Unrelated Content: Content not related to the article. Profanity: Use of inappropriate language in an article unless it is used in a quote. Foreign Languages: Placing of foreign languages on articles for no apparent reason. Threats: Making threats to people, users, or this Wiki. Speculation: Inserting false information on articles. Everything needs to be sourced. Misuse of Signature: Randomly placing a signature on a non-talk page (although this may be an accident and you will not get blocked). Misuse of Template: Randomly placing templates on pages for no reason. Category Misuse: Placing articles into wrong categories. Defaultsort Misuse: Placing a false name into a defaultsort or randomly using it. If you notice someone vandalize a page, firstly remove the vandalism. We do not want readers finding a vandalized article, especially if it uses swear words as there are young readers out there. Then, notify an administrator. There is a list of active administrators at Wikisimpsons:Administrators. 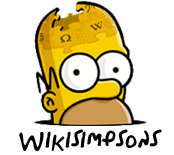 Welcome to Wikisimpsons. Although everyone is welcome to make constructive contributions here, at least one of your recent edits did not appear to be constructive and has been reverted. Please use the sandbox for any test edits you would like to make, and read the policy page to learn more about contributing constructively to this wiki. 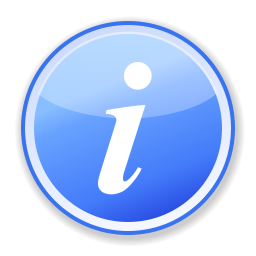 Please note that further infractions may result in a block for a short duration, at an administrator's discretion. Thank you. If you have rollback and you notice a user vandalize after receiving a warning, please notify an administrator and they will deal with it from there. Modified on October 5, 2014, at 08:45.